Each day across this great nation of ours young children gather on rugs, sitting quietly criss-cross applesauce, as their preschool teachers take center stage to conduct circle time. Circle time is now an established part of the preschool day as the entire class assembles for various activities such as listening to stories, counting on the calendar, and doing show and tell. What, in heaven's name, you might wonder could be wrong with that! As a former preschool and kindergarten teacher, I've seen circle time change over the years: becoming longer, more frequent, and quite unwieldy as teachers use it as their primary platform to educate young children. By relying too heavily on circle time, teachers ignore the research that shows youngsters benefit more from small group activities and open-play periods when they experiment, explore, and learn by doing. 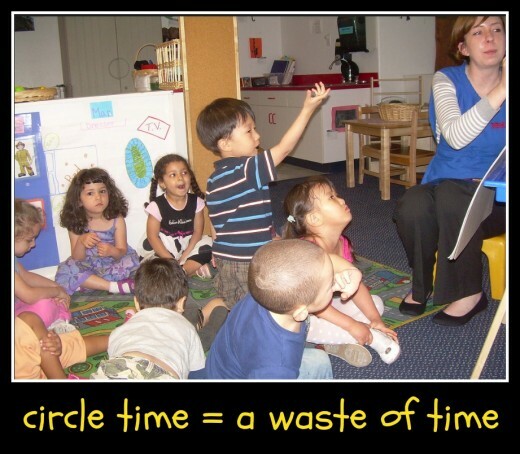 Circle time is harmful when it's used instead of the more effective hands-on approach. Have you ever attended a theatrical production where the actors on stage are having the time of their lives while the audience members sit in their seats—bored, frustrated, and wanting to bail? Go to any preschool to watch circle time and you'll probably see a similar state of affairs. Some preschool teachers—thwarted thespians at heart—use circle time as an opportunity to perform for a captive audience. Their young students—eager to wiggle, play, and talk—harness all their powers to sit quietly and listen passively. A 4-year-old child's attention span is about 15 minutes according to child development experts. Therefore, 15 minutes is a reasonable duration for circle time at preschool (25-30 minutes is reasonable for kindergarten). However, it's common for teachers to conduct circle times that go on for 45 minutes to an hour. Because circle time is their favorite part of their jobs, teachers ignore children who are zoning out and continue with their theatrics. In "Circle Time Revisited: How Do Preschool Classrooms Use This Part of the Day," the authors argue that most circle times are not language-rich experiences for young children. The teacher does the vast majority of the talking, using words that are simple and repetitive. When the children have an opportunity to speak, it's typically one-word answers in response to the teacher's questions. Conversely, small group activities allow for high-quality dialogue with questions being asked, ideas getting expressed, and new vocabulary words being learned and used in context. As an early-childhood educator, I’ve clocked many hours in many preschool classrooms, and I have found that I can pretty quickly take the temperature from the looks on kids’ faces, the ratio of table space to open areas, and the amount of conversation going on in either.In a high-quality program, adults are building relationships with the children and paying close attention to their thought processes and, by extension, their communication.They’re finding ways to make the children think out loud. — Erika Christakis, author of "The Importance of Being Little"
According to the National Association for the Education of Young Children (NAEYC), teachers should not expect youngsters to sit quietly for long periods at circle time. The NAEYC recommends teachers work with children individually and in small groups throughout the day, not just the entire class during circle time. In fact, many early childhood experts argue that small group instruction is one of the most effective but underused strategies at preschools. The NAEYC also recommends that youngsters use most of their time exploring materials and playing with other children, not sitting criss-cross applesauce as their teacher speaks. Professor Barbara Wasik of Temple University extols small groups activities over whole group ones in "When Fewer Is More: Small Groups in Early Childhood Classrooms." She writes: "Research in the field of early childhood supports the fact that the more quality contact the young child has with a competent adult, the greater the positive impact it can have on learning and development. Small groups create the opportunity for children to have more access to these quality interactions with adults. A teacher having a conversation with four children can hear more questions, provide more direct feedback, can be heard more accurately, and can attend to children's reactions in a more effective manner than when a teacher is interacting with 18 children in a group." Since these best practices are widely known and accepted, why do preschool teachers then rely so heavily on circle time instruction? Quite frankly, it's because small group activities take more planning and effort than circle time activities, which are often repetitious (e.g. calendar and weather) or are done on the fly (e.g. going over classroom rules and talking about everyone's weekend fun). At the preschool where I worked, teachers received an hourly wage for their classroom time but no compensation for the innumerable hours spent planning activities, preparing materials, and readying projects. Teachers like me put in unpaid time because we took pride in our work—wanting our classrooms to run smoothly and the children to have happy, productive days. However, putting in hours and hours of work for no pay is unsustainable for most of us. That's one reason why the average annual turnover rate for childcare workers in the United States is a whopping 30 percent! Preschool owners love circle time for two reasons. First, circle time is peaceful, quiet, and orderly and parents are impressed by it. They're easily fooled into believing circle time is when the real learning takes place. Second, circle time allows for a higher student-teacher ratio. Teachers work with the entire group at once instead of moving from child to child or from small group to small group. Circle time is like a college class in a lecture hall with as many bodies crammed in as possible. The obvious difference being lectures are not a suitable strategy for teaching young children. Kids need hands-on experiences, facilitated instruction, cooperative learning projects, and plenty of time to play. All this is possible with lower student-teacher ratios. Many preschool owners go above recommended ratios to increase revenue. The owner at the preschool where I worked would start in September with a reasonable ratio but continued to add children throughout the year. We'd often reach numbers too high for optimum learning to take place while also compromising the safety of the children and threatening the sanity of the teachers. According to the NAEYC, small group sizes and low student-teacher ratios are strong indicators of a quality program. This is especially true when paired with a curriculum that promotes developmentally appropriate practices and positive child-adult interactions. Furthermore, a quality preschool program accommodates children with special needs by further lowering the student-teacher ratio so the adult leaders aren't spread too thin. Every parent of a preschooler should watch this video about the decline in play and the rise in mental illness. Preschool owners are always trying to keep costs low. Their profit margins are often small with money going toward rent and salaries. They rarely have funds to cover teachers' extra expenses. 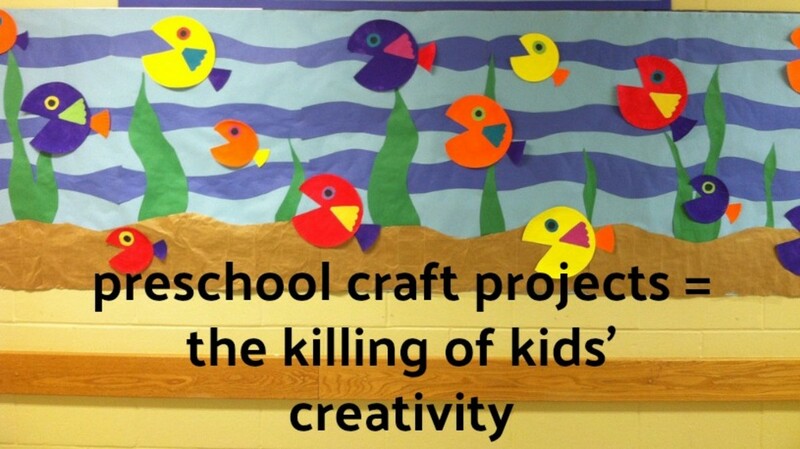 Therefore, teachers use their own cash to buy fabric paint for Father's Day ties, pipe cleaners for tissue paper flowers, or goldfish for a science unit. Because the average wage for preschool teachers is only $11.95 an hour, it's understandable they don't want to shell out too much of their own hard-earned cash. 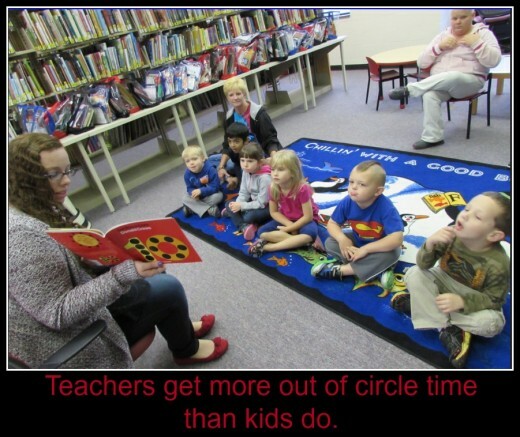 Both owners and teachers love circle time because it costs absolutely nothing. Play is often perceived as immature behavior that doesn't achieve anything. But it's essential to their development. They need to learn to persevere, to control attention, to control emotions. Parents are typically more impressed by circle time than any other activity at preschool. They watch the teacher take command of her class and feel a sense of comfort that a capable adult is in control. They feel their children are learning when spoon-fed information from the teacher. Sadly, parents are rarely impressed during self-directed play time. Some see it as a waste of time as children explore materials, create open-ended art, and experience the joys and struggles of dealing with peers. Some ask: Why am I paying for this? The well-informed parent, however, sees self-directed play as the most crucial part of the program—the time when youngsters learn how to solve problems, make choices, investigate deeply, and socialize with friends. Circle time accomplishes none of this. It's very easy to let circle time become the main focus of the preschool day. When that happens, circle time is harmful. However, with a commitment to best practices in early childhood education, preschool owners and teachers can decrease whole group instruction. In the process, they can increase small group activities, open-play periods, and one-on-one instruction. This creates a healthier and happier environment where students gain initiative and independence while having fun and making friends. Why do you think circle times are getting longer and more unwieldy? Preschool teachers are under pressure to prepare children for kindergarten. We don't have enough qualified preschool teachers, especially in low-income areas. Parents are anxious about preparing their children for kindergarten and believe circle time does that. Read This Book Before Choosing a Preschool for Your Child! If you're a parent looking to get inspired and empowered, this is the book for you. There are so many forces out in the world robbing our children of their innocence and creativity – video games, cell phones, violent movies, commercialism – but this book shows us how to protect our youngsters from those influences. While everybody is over-programming their kids in sports, music lessons, and dance, this book talks about the value of down-time and imaginative play. I highly recommend parents of young children read this before choosing a preschool. My daughter's preschool teacher is always talking to the kids at circle time about getting ready for kindergarten. My daughter doesn't even know what kindergarten is, and certainly doesn't care about being ready for it. What should I do? If I had to guess, I'd say your daughter's preschool teacher is new to the profession and is under a lot of pressure from her boss and from parents to prepare the children for kindergarten. You're correct in your opinion that her comment is meaningless to a bunch of 5-year-olds who don't know what kindergarten is. The teacher is revealing her own anxiety and, in the process, is transferring that to her young students. They're getting a vague notion that kindergarten is something to fear. Unfortunately, this is the climate at preschools today in the US. Too many of them have become just prep stations for kindergarten with kids doing a whole host of activities that aren't developmentally appropriate: writing in workbooks, keeping journals, doing math equations, sitting for outrageously long circle times, and enduring too many teacher-directed lessons. Many parents consider this “real learning” and are pleased that their kids are getting ready for elementary school. They're unaware of the research that shows preschoolers learn best through play, social interaction, and hands-on discovery. I strongly recommend you talk to the teacher about your concerns. Tell her that you do not see your daughter's preschool year as preparation for kindergarten, but it's own unique and magical experience. She'll probably be relieved to hear that not all parents see preschool as just a means to an end. My son's teacher is committed to reading 3 books each day to the group at circle time. The kids seem totally checked out. Is this a good practice? No. If I were to guess, I'd say your son's teacher is influenced by the “whole language” approach that dominated education during the 1980s and '90s. I was earning my teaching credential at that time and remember kindergarten teachers dedicated to that same practice of reading three books each day. The goal of the whole language was to expose youngsters to a plethora of rich language experiences through stories, books, poems, songs, and reading aloud. It was believed that this exposure would turn them into efficient and enthusiastic readers. Eventually, however, the whole language fell out of favor because some children weren't learning how to read. Most experts today advocate a balanced approach that combines both whole language instruction and phonics. As you suspect, reading aloud to a large group doesn't result in the best experience for the children. They can't see the illustrations very well, decreasing their involvement with the story. They can't interrupt to ask questions when they don't understand the plot. They can't talk about an event in their own lives that's similar to what the characters are experiencing. That's why reading to your son at home, one-on-one, is far more effective. You can ask questions of him throughout the story, checking to see if he's comprehending and clearing up any confusion. A teacher with a large group can't keep starting and stopping, or the continuity gets lost, the youngsters lose interest and grow restless. Sadly, many preschools today are teacher-centered rather than child-centered. Reading three books a day to the class would be an example of that. It's something the teacher enjoys (and it's easy), but the kids get little from it. Most parents never question this practice so good for you for being so perceptive! I have twin four-year-old boys who are in the same pre-k class together. They love playing with their friends at school but can't sit still for calendar activities. They're often put in time out. Should I be concerned? Your twins sound like typical 4-year-old boys who find it hard to sit still during circle time. However, you should consider waiting until they're 6 before starting kindergarten. During the last 10 years, kindergarten has become much more academically-focused and less child-centered. Many are now full-day with little time for playing, pretending, socializing, and doing hands-on learning. Unfortunately, there's a long list of Common Core skills that teachers are expected to present and assess. Kids are expected to learn how to read by the end of the year even though there's no evidence that shows benefits from early reading. You should also consider alternative kindergartens that don't push early academics such as Montessori and Waldorf. This is a tragic time in early childhood education but, hopefully, things will turn around soon. Too many youngsters (especially boys) are getting labeled as “immature,” “disruptive,” and “hyperactive” when they're just normal wriggly kids. Too much of preschool instruction is geared toward preparing kids academically for kindergarten with narrow skills and not getting them excited about discovering the exciting world around them with its infinite possibilities. We need to look at countries with successful school systems and see how they let kids be kids in kindergarten with lots of play, exploration, and time to use their imaginations. I wrote an article called “30 Ways American Kindergarten Should Become More Like Those in Germany, Japan, and Finland” that you'll find eye-opening. Some experts believe that the higher rates of depression, anxiety, and suicide we now see in young adults, teens, and even children are connected to a lack of play in the early years. Children learn best when guided by their own curiosity. When preschools are kid-centered, youngsters become self-directed learners, and that is key to a lifetime of joyfully acquiring knowledge. Thanks so much for your supportive comments about the overuse of circle time at preschool, M Simon. I have gotten a lot of flack from teachers who get defensive about their circle time routines. There's an endless number of ideas online for circle time but few that question its value in the first place. I agree that it does serve a purpose as a community-building tool. Other than that, everything done at circle time is more effective (and more fun) when done in small groups. Unfortunately, some preschool teachers don't feel like “real” teachers if they're not front and center leading the group. Many preschool teachers today feel under the gun to prepare kids for kindergarten. They try to stuff information in them at circle time. 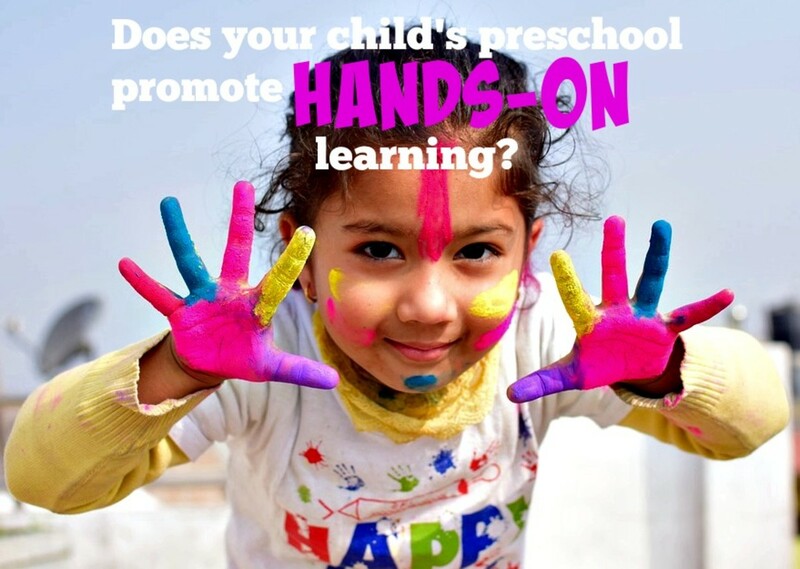 When I taught preschool, I emphasized small group learning and it was extremely effective. However, all the time it took to plan those activities went unpaid. Preparation wasn't valued, making me feel both disheartened and frustrated. Thanks for sharing your point of view from the trenches. I think preschool teachers are absolutely fabulous and don't get nearly the credit (and money) they deserve. I just think, though, that circle time has gotten out of control and needs to be curtailed. Children come to preschool with all they need—curiosity, imagination, and wonder. We want to enhance that, not strip it away. Great critique of circle time! This article is absolutely accurate—as a preschool teacher in the trenches, I can attest to it's accuracy. Teacher's are encouraged to lead large groups, as opposed to small, which is developmentally inappropriate. I work at an NAEYC-accreditiated program, and yet we are encouraged to care for too many children at once. Trust your instincts about circle time, Milena. My son's preschool teacher was superb, followed the tenets of the NAEYC, and only did a very brief circle time at the end of class with dancing, songs, and playing her harpsichord. The rest of the day the kids were moving, exploring, playing, pretending, and socializing. It was a child-centered environment. They were never sitting still except for snack. My son would be so exhausted by the end of the 3 hours--exhausted in that wonderful way of having had a fun and invigorating morning of learning by doing. His teacher was magical because my son never knew she was there, but she was everywhere! I feel so relieved after reading this. I thought I was wrong when wishing for more and to see circle time from a different perspective. Children have great potentials to develop and they expect to have fun at preschool, to learn, not to be doing the same the rest do, and following the same instructions day after day. Thank you! I feel so relieved after reading this. I am not happy with circle time. My students have great potential and could be using their time and abilities in a better way. Preschool is supposed to be joyful and to experience the world, develop potentials. I really felt I was the one wrong wishing for a different perspective for circle time. Thank you! Yes, that is definitely the type of Circle Time that gets a thumbs up from me. I'm so happy you're allowed to do this, Carol, and aren't pressured to do weather, calendar, patterns, etc. Too many preschool teachers must "prepare kids for kindergarten" with all kinds of information - letters, sounds, numbers, counting, sight words - and Circle Time has become the place to do it. It sounds like your talent and experience are appreciated and you're allowed to do what you know is right. Your students are lucky to have you. Thanks for commenting. I have been teaching for over 20 years and I've never done calendar time or weather charts. Circle time is always a gathering for songs and stories - a rich community building mid morning pause. Using our precious time for anything other than conversation, stories and songs is not an option. What a joyful gathering we enjoy every day! We'll have to agree to disagree on this one, Sybol. Nobody has ever given me an adequate explanation of why Circle Time is beneficial for young children. Mostly, I hear that it prepares them for kindergarten because they must sit still and listen to the teacher. But, I strongly contend that the purpose of preschool is not to prepare little ones for elementary school. It's far more special and sacred than that. It's a time for kids to become active learners - explore and socialize. Thanks for adding your thoughts! I agree with some of your points and disagree with some. I don't think teachers are trying to be the center of attention when the have circle time. Sometimes circle time can be too long. 15 to 30 minutes is a good length of time for circle time. The key to circle time is engaging the children. You can tell when the children are interested and when you have lost their attention. Circle time should have a variety of activities which include movement and communication between the teacher and the children. I think circle time is beneficial. Yes, some preschool teachers are under a lot of pressure to prepare kids for kindergarten. Children are learning to read in kindergarten so now many preschools teach reading readiness (the alphabet, letter sounds) as well as math skills such as counting, number recognition, calendar, etc. I certainly don't think preschool teachers are lazy in any way, shape, or form - quite the opposite. I think they're expected to do too much for too little pay. 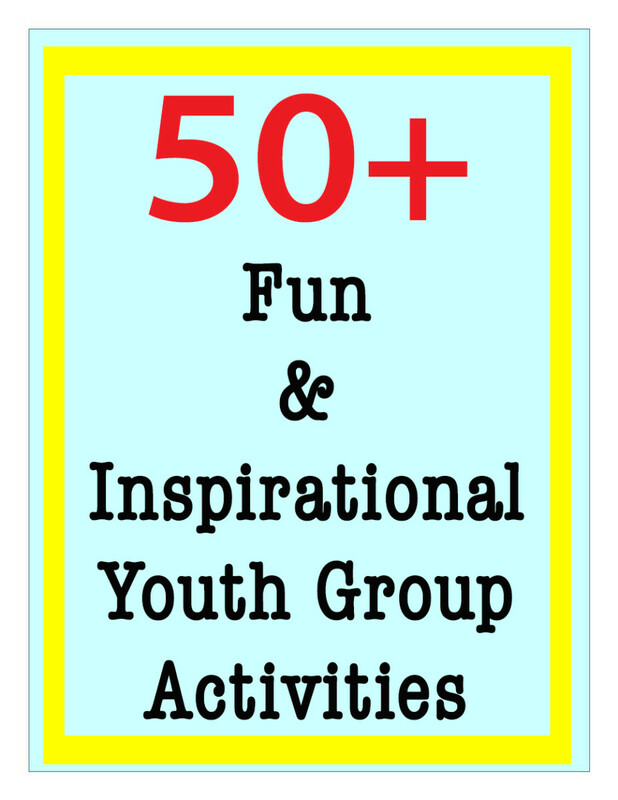 Their primary goals must be to keep the kids safe and happy while facilitating exploration, play, and cooperation. The push for early learning is largely an American obsession. Other countries are more accepting of children's natural development. They enjoy kids at each unique stage and don't try to rush them to grow up faster and learn things sooner. I think we can learn a lot from that. Thanks for reading and commenting! 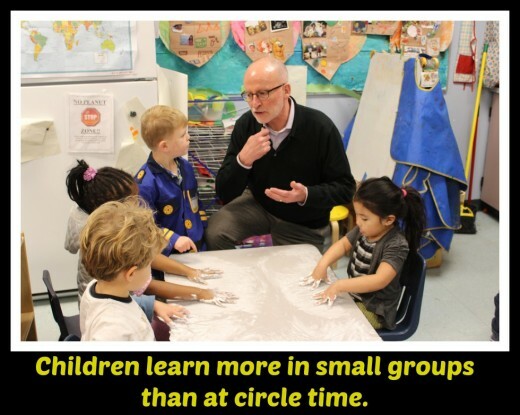 I do agree, that group "circle" time should only be about 10 minutes long and that children learn more through play. I have to disagree with the fact that the reason teachers do longer circle times is because they want to be the center of attention, or because they are lazy and looking for the "easy peasy.. little preparation" way out. I honestly think it is a lack of education/understanding on what is appropriate as well as more and more pressure to bump down the curriculum and teach what used to be kindergarten in preschool. I agree. My older son had a fantastic preschool teacher who followed the principles of the NAEYC. She concluded the day with a short Circle Time (about 10 minutes) that promoted a sense of community. She sang and played a ukulele and the kids sang or danced. My younger son had a preschool teacher who was a former first grade teacher. She did a Circle Time that lasted an hour with a story, calendar activities, and sharing. It was way too long and the kids got bored. The parents, however, loved it because they thought it was preparing their kids for elementary school. Sadly, the focus of that preschool was on getting kids ready for kindergarten and not on enjoying the unique and magical experience of those early years -- promoting play and stimulating imagination. Thanks for commenting. If your children are finding circle boring or a waste of time then shame on you! If you are a well educated ECE then you should be able to making a circle interactive and entertaining!!! You need to have spontaneous ways to have children be engaged, all children through music and movement,hands on, etc. Many time teachers in this field become lazy and not dedicated to their profession. Thanks for the kind words, Becky. A truly talented preschool teacher shines during self-directed play -- making sure everyone is involved and happy, posing questions that make the children stop and think, inspiring them to try something new. It's definitely the most important part of the preschool day, but some parents don't get it. They think: My child can play at home. At school I want them to learn. To these parents, learning only happens when the teacher is imparting information to the kids in a structured way. It's very hard to change their minds on that. Excellent and informative article! I am from a family of teachers and have heard some of these points echoed. I had not considered your point that parents see self directed play as more chaotic and possibly a waste of time, so they may view circle time as more controlled and effective. Great perspective! Well said Pelim 50. Talented and experienced teachers in early childhood education are considered "old-fashioned" with their talk about the importance of play and hands-on learning. Unfortunately, parents are easily tempted by structured teacher-led activities that will give their children a "competitive edge" such as STEM lessons, a second language, formal art instruction and, as you mentioned, worksheets and workbooks. Those who make the big decisions know little about child development. In 30 years teaching, preschool was always fun for me. Watching children exploring their world during play and working in small groups was essential in my room. The parents always confirmed how much their children learned. At one point my work place downsized and I lost my job. I was told they expected me to hold that high end learning standart in this room. Playdough did not excist and the teachers put the toys out the kids were allowed to play. It was super clean and organized but had no time for exploring anything else. I felt like I was failing on the kids and I felt like in a cage. I had no support from supervisors because they were afraid of a "messy" room. I just think times are changing and I count to those "old fashioned" teachers. Thanks, Kathryn. I'll check those out. I think Montessori and Waldorf have a lot to offer. Maria Montessori has a lot to contribute toward enlightenment regarding the truth about children through her books, The Secret of Childhood and The Absorbent Mind. Yes, some kids get very adept at zoning out during school and many teachers don't mind as long as they're not disruptive. While I understand zoning out in a boring college lecture, I think it's sad when little kids zone out during preschool. Preschool should be fun, stimulating, and interactive, not boring. Thanks for reading and commenting! When my youngest son attended pre-school and kindergarten, I used to watch him during circle time. After sitting there for awhile, I could see that he began to zone out. Worried, I soon realized that he was not the only one. That zoning out while being trapped in a boring circle can create a mind that zones out throughout the school years when the child become bored with a long session of idleness. Thanks for reading! Yes, there's incredible stuff going on in preschools and many gifted teachers making a difference. Unfortunately, the high turnover rate among teachers makes it difficult to maintain excellence. Being a preschool teacher can be a dead-end job with no way to rise through the ranks and no way to make more money. Very interesting. I agree that some teachers definitely take the easy way out. Free play is very important for typical children. Some of the special education children may need a bit more direction though. I've seen some wonderful preschools and one very poorly run classroom that should have been shut down. Eventually I think someone stepped in. Thanks for your supportive comments. Small group work and cooperative learning projects were en vogue when I got my teaching credential 25 years ago. Sadly, there's little emphasis on them today. I love this article. I actually wrote a paper about something similar for one of my college classes. Sugata Mitra won the Ted award for his really cool idea of small group learning with a computer. His plan is to have a class run totally off the cloud and each small group of 5 or 6 kids has a topic. Something deep like "what caused the dinosaurs to go extinct?" so that they can't just google it once and find the answer. Your article is about preschool and Mitra's idea is for older grade school kids. I think the idea that small group learning that is child-led is a great idea and if I were an educator, I would definitely approach it this way. As it is, I'm not! Great article!